54 U.S. House of Representatives Democrats (no Republicans) urged President Obama to pressure Israel to loosen security measures implemented to counter the threat from terrorism originating from the Hamas-controlled Gaza strip. This is a very troubling letter. It’s reassuring that not a single Republican member signed on. But the fact remains that one in five Democrats in Congress have called on the President to pressure Israel to relax measures put in place after years of rocket fire from Gaza. In their letter, these 54 Democrats express no concern whatsoever about the consequences that might have for Israelis living under the threat of terrorism from Gaza. Support for Israel’s right of self-defense has traditionally been a point of bipartisan consensus. But when one in five House Democrats take an official action so at odds with that principle, it obviously raises questions about whether the Democrats’ traditional support for Israel is weakening. 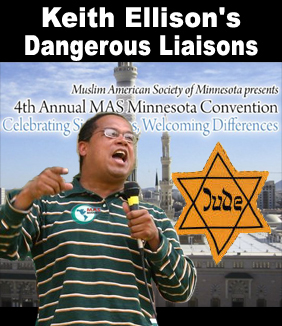 “Keith Ellison, widely hailed as America’s first Muslim congressman, could more accurately be described as CAIR and Hamas’ man in Congress. 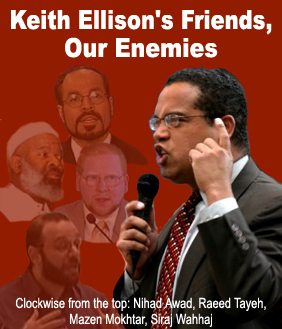 Congressman Ellison has been a regular presence at CAIR fundraisers and at pro-Hamas rallies in the United States. 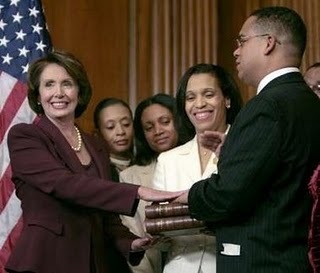 As a former member of Farrakhan’s Nation of Islam, Ellison has enough anti-semitic and Islamist credentials to satisfy anyone, and had expressed openly anti-semitic beliefs in the past. Since Ellison got his start with CAIR , his attempt to provide support for Hamas is completely unsurprising. 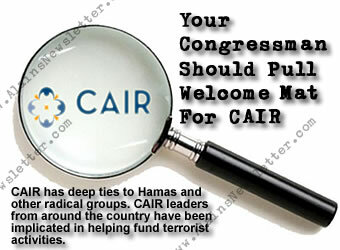 Both Hamas and CAIR are projects of the Muslim Brotherhood, which also helped birth Al Queda. Organizations like CAIR do the same work in America that Hamas does in Israel. The difference is that CAIR does its work on a political level, while Hamas functions on both a political and a military level. Like CAIR, Ellison is careful to cloak his pro-Hamas agenda, which he does by mentioning that all violence is wrong and that Israelis probably shouldn’t be shelled– but the thrust of his agenda is to force Israel to open its border with Hamas. None of this is up till now is shocking. But what Congressman Keith Ellison accomplished was to convince 53 other Democratic congressmen to join him in this venture. It is not particularly surprising to find the House’s most radical anti-Israel voices signing their names onto Ellison’s letter. It would be inconceivable if a letter aiding Hamas did not carry the signatures of Barbara Lee, Jim Moran or Jim McDermott, who helped Ellison spearhead the whole campaign. It is essentially inconceivable that any letter circulated in congress opposing Israel would not get their signature. “Jim Moran had managed to blame even the Iraq War on the Jews and McDermott was actually named CAIR’s Public Official of the Year. Neither is West Virginia Arab Congressman, Nick Rahall, who is the Democratic party’s version of Darrel Issa, who is tied to CAIR as well, and previously voted against Israel’s right to defend itself. 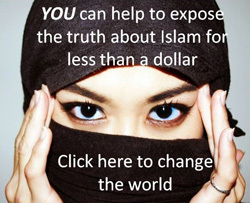 Rahall is also the top recipient of CAIR donations. 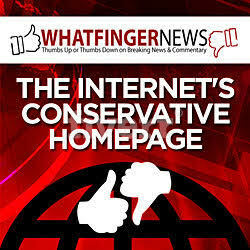 The likes of Diane Watson or Pete Stark aren’t complete surprises either. Pete Stark has a history of being both anti-Israel and unstable. Neither is Carolyn Kilpatrick, who voted against Israel’s right to defend itself, and against condemning terrorist attacks on Israel. Kilpatrick, like virtually every Democrat on the list, is also tied to CAIR…. 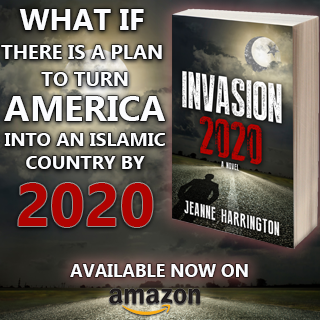 “And it is instructive to note how many of the congressmen and congresswomen on the list are funded by CAIR money. 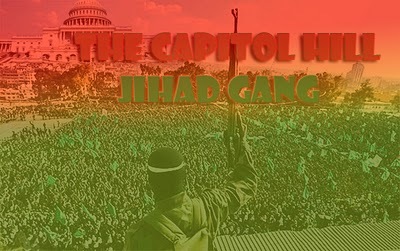 Keith Ellison, John Conyers, Loretta Sanchez, Betty McCollum, Lois Capps, Bill Pascrell, Elijah Cummings, Bob Filner, Mike Honda, Barbara Lee, John Dingell, James Moran, Nick Rahall, Andre Carson, Mary Jo Kilroy, Carolyn Kilpatrick and Jim McDermott are among the top receivers of CAIR money in congress.